If, like me, you’re coming towards the end of your degree, then this is a very stressful time of year. We have our final assesments and I’m supposed to be preparing for the real world? That’s too many things at once! I think what anyone in my position needs is a relaxing bubble bath. Scratch that, I think what everyone needs is a relaxing bubble bath. Recently, I love going to health shops. They have so many exciting types of tea and veggie things and lotions and potions that smell amazing! 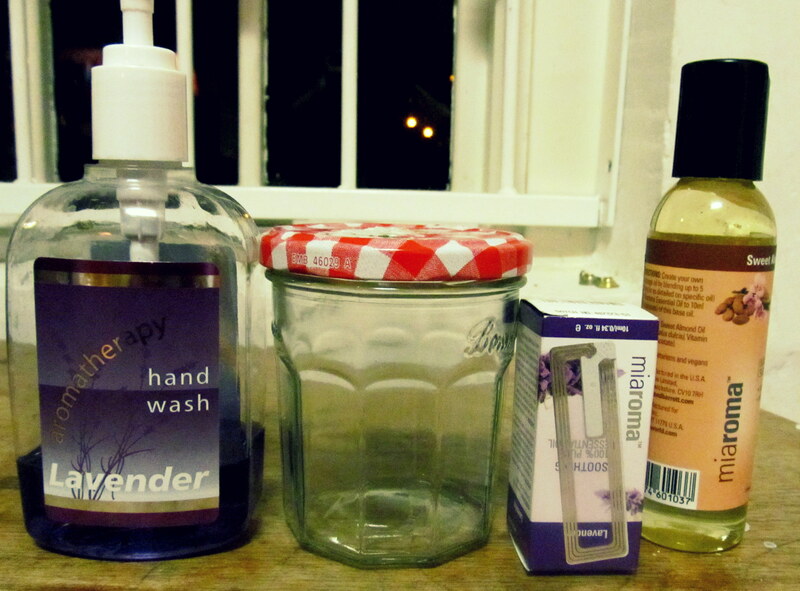 The last time I was there I picked up some things so that I could make my own bubble bath. I decided to just make enough for one bath, however if you made a whole bottle full, this would make an amazing homemade present! 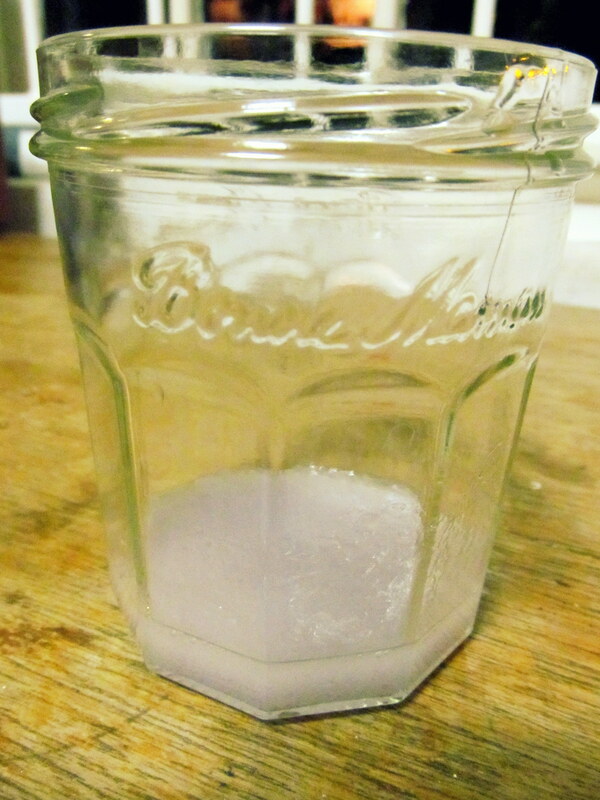 Making your own bubble bath isn’t necessarily cheaper than buying it from the shop. But it’s tons more fun. You can use and combine any scents that you like, and you can tailor the oil you choose to your own skin needs. I chose lavender because I think that it is the most relaxing smell in the world, and almond oil because it’s great at moisturising, and my skin gets a little dry sometimes. One day I will be more adventurous and buy essential oils other than lavender. 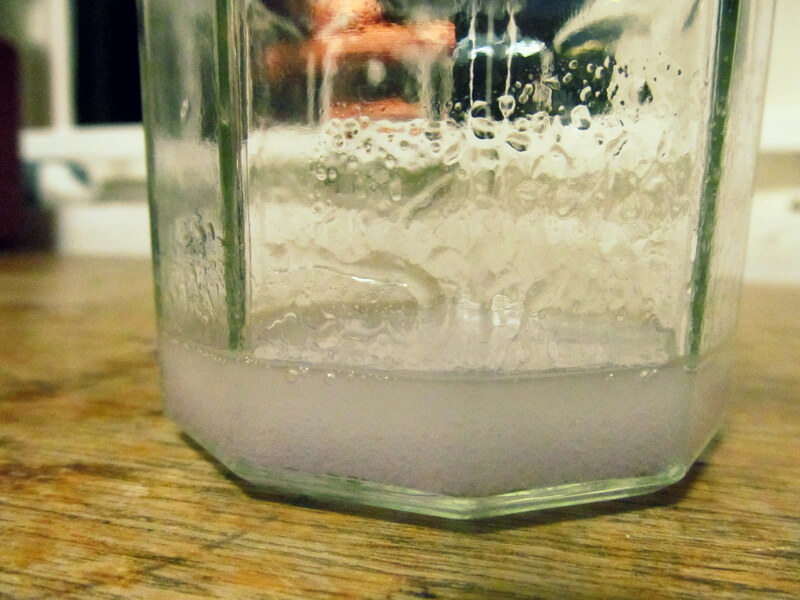 Step 1: Mix together one part hand soap to one part almond oil. If you’re making enough bubble bath for one bath, add 3 or 4 drops of essential oil. If you’re making a bottle of bubble bath, add half the bottle of essential oil. 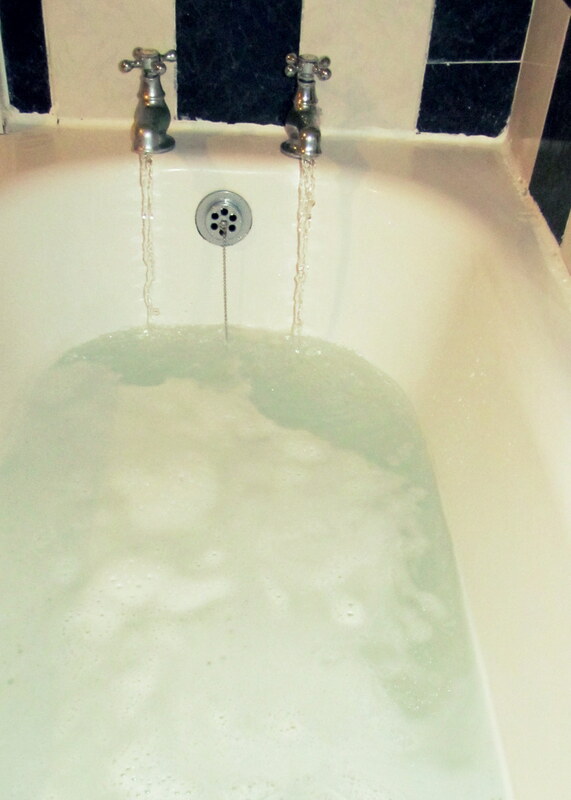 Step 2: Pour your bubble bath into the running water and enjoy! This is so cool, Definitely going to try it, I have many assignments on right now!